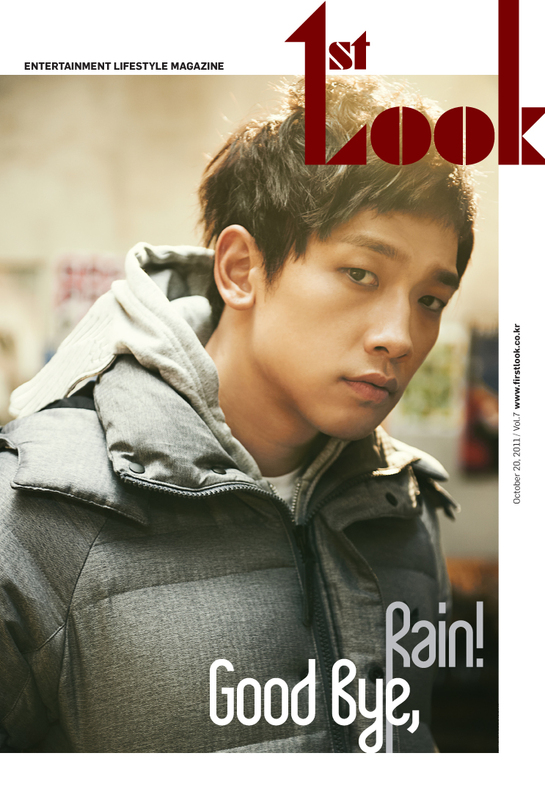 Charlene K was recently featured in one of the top Fashion/Lifestyle magazines in Korea, 1st Look Magazine! It's great to achieve international success and see how people all around the world love our brand. 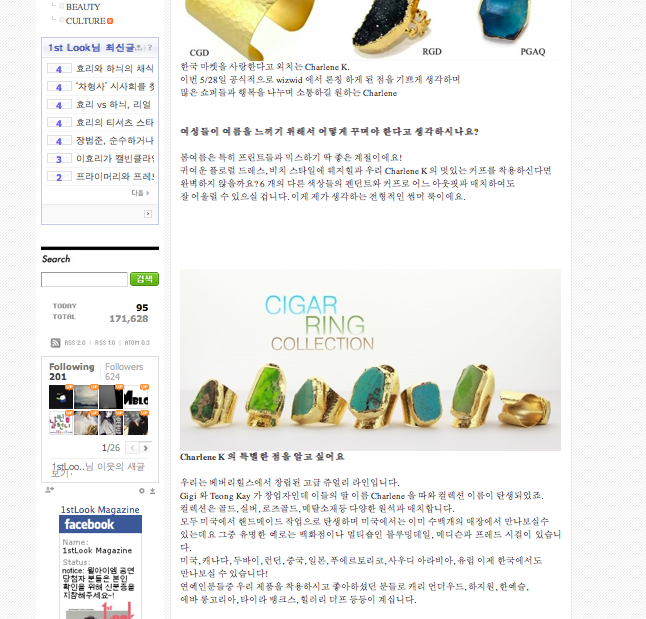 Charlene K recently got picked up by new e-commerce in Korea called Wizwid. New style druzy & agate quartz cuffs have arrived for Spring! 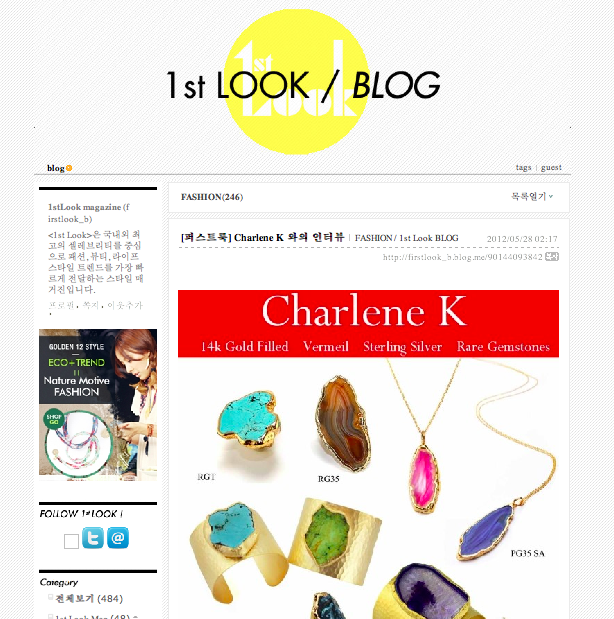 Charlene K at LA Market Week! Charlene K upcoming trade shows!